Whew! This was a labor-intensive piece to create. Perhaps it took too long to create. The black background was created exclusively through the use of line. 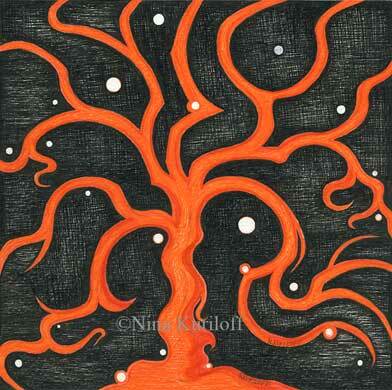 This drawing measures 8 x 8 inches, and I created it using india ink pens, gel pens and micron pens. My favorite micron pens are Sakura brand pens. If you should be interested in purchasing this piece, you may do so, by clicking here on Etsy. Thanks very kindly for your feedback, Carien!